Course delivered by WRIGHT Foundation in association with Exercise as Medicine NZ and REPs NZ. This course earns 20 REPs CPD points. 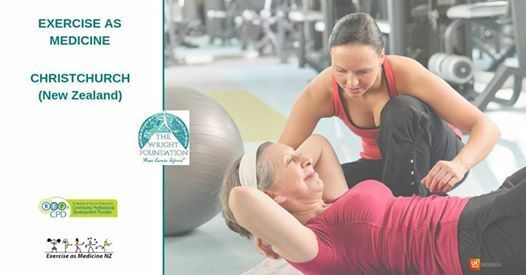 For more information and to book please contact Tim Webster at Exercise as Medicine NZ: email dGltIHwgZXhlcmNpc2Vhc21lZGljaW5lbnogISBjb20= or call (+64) 021 0228 2551.